I have been to Cuba twice. I found a group of men on a plaza playing instruments to the delight of the passers by on a small plaza on my first trip. They called themselves Los Mambesis. Los Mambesis refers to the guerrilla Cuban independence soldiers who fought against Spain in the Ten Years War (1868-1878) and War of Independence (1895-1898). 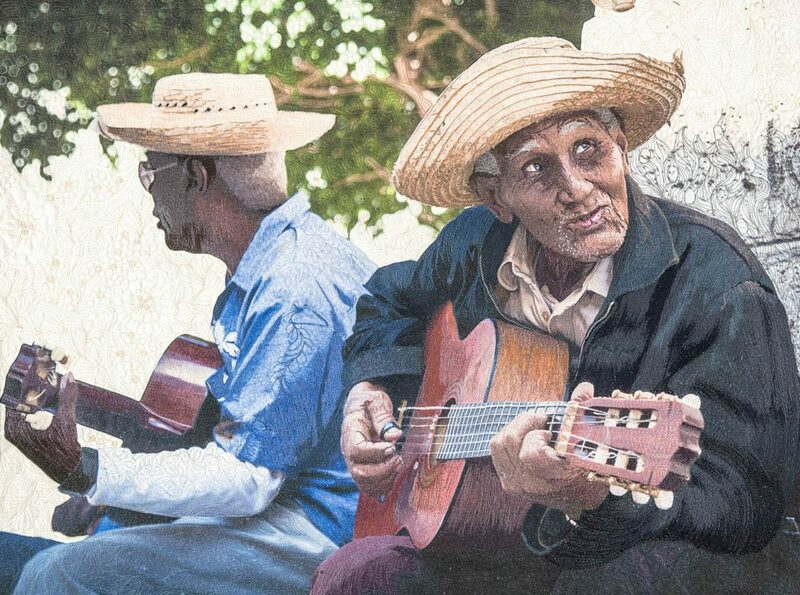 To this day, Cubans, hold the Mambises in high regard as an important piece of their cultural history as well as the ideal example of people who live up to contemporary Revolutionary ideals. I particularly loved this photograph of two men playing their guitars. 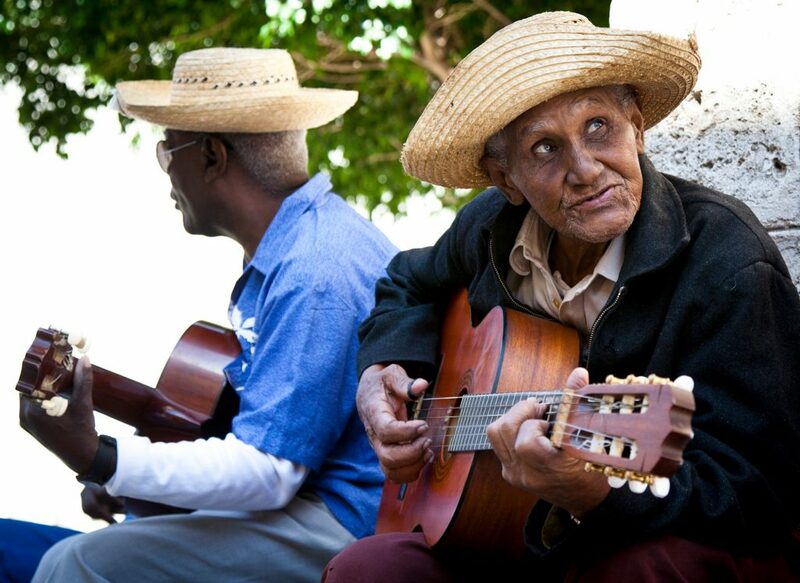 They truly enjoy sharing their music with the people in the streets in Cuba. The car belongs to the man playing the guitar. He lives on the second floor of this fabulous building. It is important to remember that all money stopped flowing in 1959 in Havana. Today, these are the buildings people live in. I can’t wait to go back to see them again!!! !